Nowadays, we see that most people are much concerned about their health. So almost all the individuals opt for a personal gym in contemporary times. The personal gym mostly comprises of equipments which are solely dedicated to keep one's figure in check and of course to maintain health. How to clean your personal gym equipments is laid clearly in the following steps. 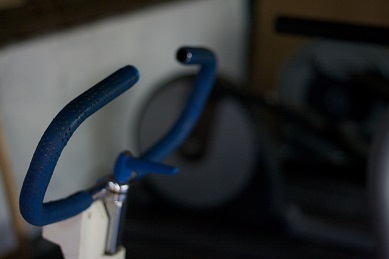 Mostly it is seen that the rough handling of the gym equipments makes them look quite dirty. Only a superficial wipe of the personal gym equipments may not be enough to keep them clean. It is always seen that the handles of the most gym equipments like treadmill, biker which are used extensively gets exposed to hands which are full of grim and dirt. If the personal gym equipments are not cleaned on a regular basis then it is likely that their longetivity will also be at stake. A treadmill which is dirty for a long span of time would lead the overloading of the motor. One will also notice certain changes in the speed. You should throughly cleanse your treadmill once in a week atleast to ensure its smooth functioning. You must make use of any kind of lubrication only if it is suggested by the manufacturer. While cleaning the frame and the console you must make use of a slightly damp cloth. After the cleansing process of the personal gym equipments get over then they should be checked and by properly putting in the plugs and switching them on to see whether they are functioning properly. Most of the people are so busy in their lives that they hardly get time to clean their personal gym equipments. 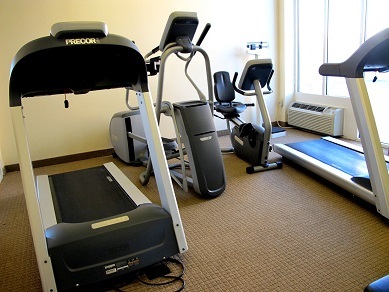 If you follow the general maintenance tips following the user's manual then you will see that all your personal gym equipments are functioning at their best. Start practising the cleaning tips in order to keep your equipments in perfect condition. With the rise in that of maintenance of fitness equipments, many new procedures are being launched in the market. The gym cleaning supplies are also easily available in the market and they ensure the appropriate operation of the personal gym equipments. However it should be noted that you should take care of the cleaning procedure with the help of an expert because a little more or a little less solution might obstruct the proper maintenance of your gym equipments. Yoga mats should be washed frequently and if the matt is just slightly soiled than you can make use of a spray bottle or a damp sponge. The spray bottle solution should consist of a mixture made of two cups of water and four drops of dish washing soda. After that you can proceed to wipe the yoga mat just by wiping off the extra water. The gym equipments should always be free from bacteria and regular cleansing ensures that it will operate smoothly and would run for a long span of time thus helping you to keep those tyres in control.